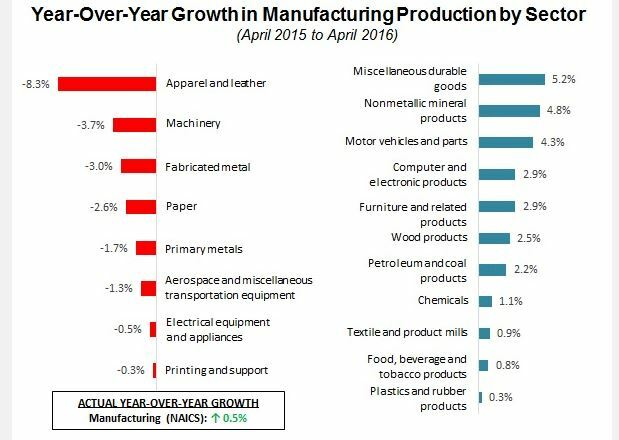 While manufacturing growth remains essentially level, certain sectors served by the precision machining industry grew nicely in the year ending in April 2016. 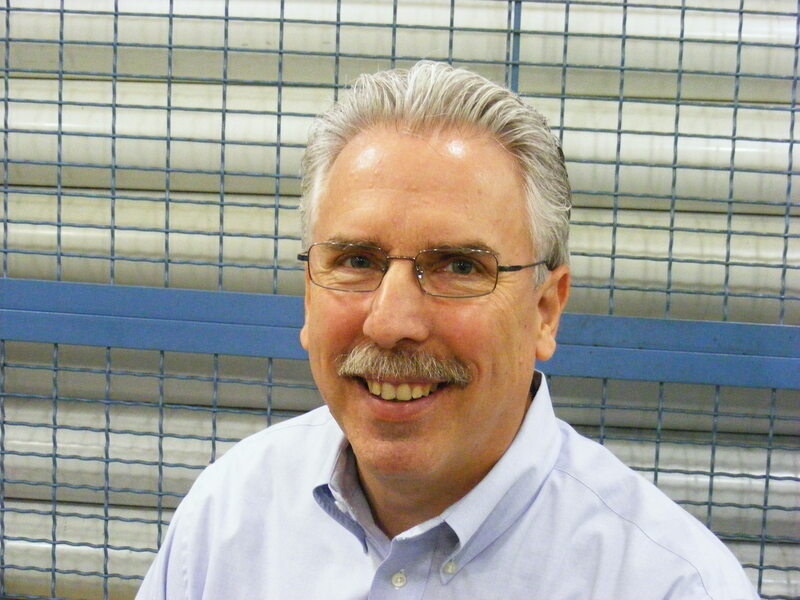 Dr. Chad Moutray, Chief Economist at National Association of Manufacturers, has compiled and shared the data for the past year in Manufacturing. Winning and losing sectors for Manufacturing Production. While the actual Year-Over-Year Growth for Manufacturing eked out a 0.5% growth rate, there were clearly winning and losing sectors as the chart above shows. Here is a recap of the markets typically served by our precision machining shops: Machinery, Fabricated Metal, Aerospace and Miscellaneous Transportation Equipment, and Electrical Equipment and Appliances were down, while Miscellaneous Durable Goods, Motor Vehicles and Parts, Computer and Electronic Products showed gains ranging from 2.9%- 5.2%. According to Dr. Moutray, manufacturing rebounded somewhat in April, as manufacturing production grew 0.3 percent, just offsetting the 0.3 percent decline in March. In April, renewed strength in the Machinery sector (up 2.4%) and Motor Vehicles and Parts sectors (up 1.3%) were positive signs. According to the FED, April Industrial Production moved upward by 0.7 percent, after two months of decline. The PMPA Business Trends Index of Sales for April 2016 declined from the year’s March high 0f 131 to April’s 122. That 122 reading is up one point from the 2015 calendar year average. While the economic news is not bubbling with enthusiastic reports of growth, we think that the industry operating even or just above last year’s average is a positive story. This entry was posted on Tuesday, May 24th, 2016 at 12:58 pm and is filed under Front Office. You can follow any responses to this entry through the RSS 2.0 feed. You can leave a response, or trackback from your own site.